We’ve all seen the First Aid kits you can buy at the store. Many of us have made our own. But does your child have one they can take to school without getting in trouble? My kids go to public school. Their schools, but there is no denying that public schools have a lot of crazy rules when eating a poptart into the wrong shape (a gun, in someone else’s opinion) can get a second grader suspended, even if that wasn’t the kid’s intention. Signed forms are required for kids to get simple over the counter allergy medicine, and the school nurse has to dispense it. A “medicated” cough drop is considered medicine and kids are not allowed to have them at school or on a school bus. A school nurse has to dispense cough drops. Seriously. My son is very excited about emergency preparedness and wants to carry a First Aid kit wherever he goes, including school. Even in second grade, though, he knew he couldn’t have any medicine or sharp objects in school, so we set about making him a First Aid kit he could have at school. 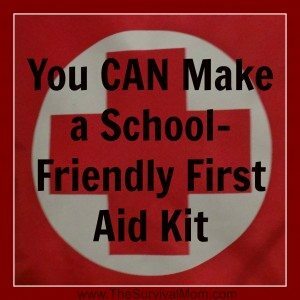 All those crazy school rules make it harder to build a good First Aid kit. 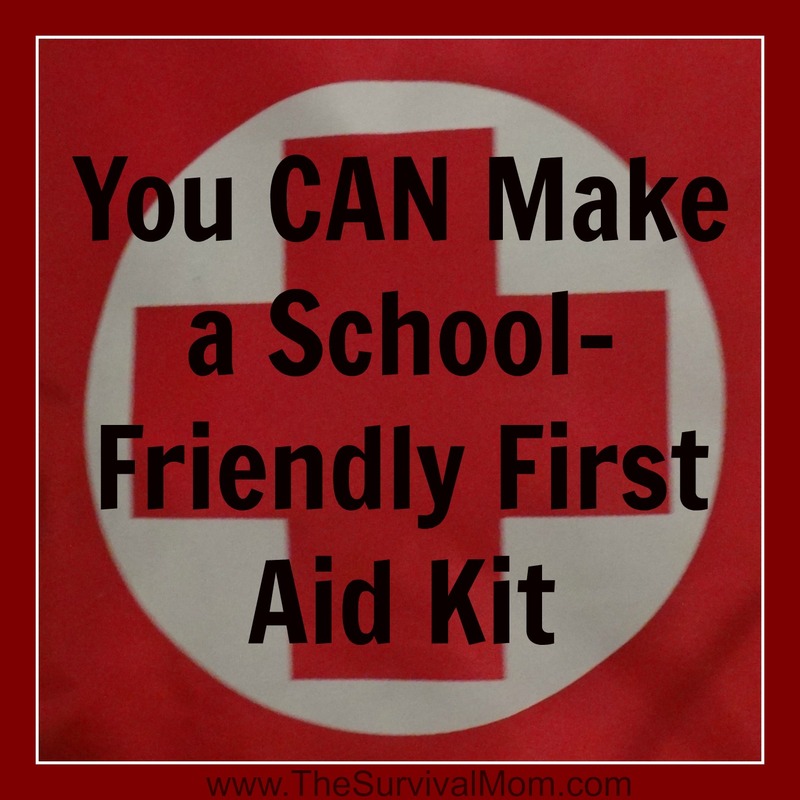 But it isn’t impossible to make school-friendly First Aid kit! It just requires thinking outside the box a bit. Herbal remedies only require a few drops at a time and aren’t considered medicine by the average school district. 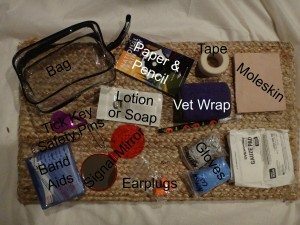 That helps a lot in creating a school acceptable First Aid kit. A contact lens case is a great place to store liquids and gels! You can buy plastic bags in any size online. Another good option is a simple drinking straw, which you can get for free at restaurants. Melt the end closed, add the liquid or gel, cut the tube short, then seal the other end. Single use size! You can even buy straws in different colors so they are color-coded. To make a homemade rehydration solution is 1/4 tsp of salt plus 3 teaspoons of sugar added to a half liter of water. If you read the previous link, you may notice that the amounts I listed are half of what they list. That is because half liter bottles of water are extremely common and it’s easier to carry two packets than try and guess how much is half if you make the full amount. Also, little kids are, well, little. They really may just need a half liter. Aloe gel is great for burns, including sun burns, but be aware that it can get sticky as it dries. Essential oils would be great to include but really haven’t figured out a great, stable way to store them yet. Oils could easily interact with the plastic, altering their chemical composition or simply evaporating quickly. If you have a great way to store and transport tiny amounts of essential oils, please share! Essential oils: there are many articles on this, choose the ones to suit your child’s needs. Companies like Young Living sell individual packets that could be very easily packed in a first aid kit. There are some items that even schools allow. Bandages, for example. And tape. CPR face shield: A very small child probably can’t use this, but it can be used on older children and teens can learn CPR. Vet wrap, in place of Ace bandages which have those terribly dangerous sharp, pointy closures (Hey, if a cough drop is dangerous, those must nearly be lethal weapons!) – Bonus: you can choose a fun color! Small children’s safety scissors: They provide those in classrooms, after all, so they can’t be a danger. 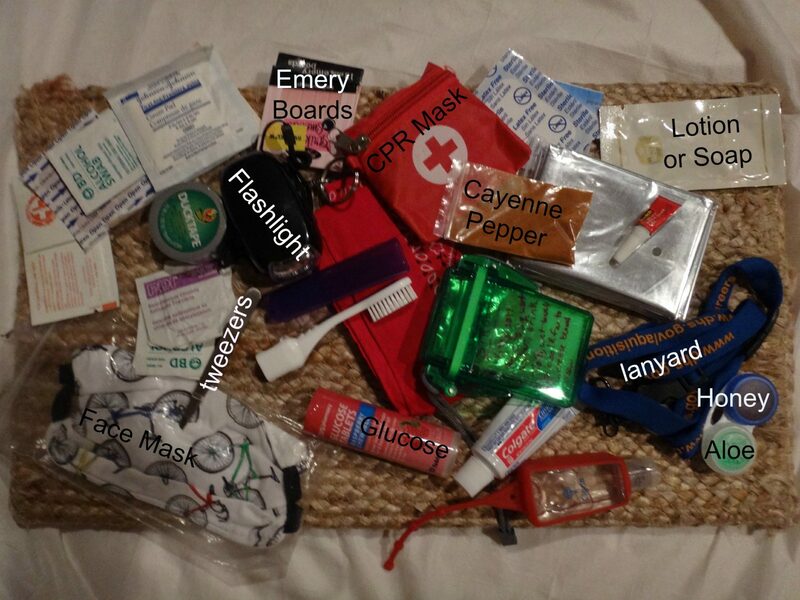 Some items are just good to have in an emergency. These have many uses, including potentially being cut up. Whistle: In an emergency like a tornado where a child could be trapped, this is useful for alerting emergency workers. There’s a good chance your school won’t allow these, but some may. It’s worth checking. Recently, I bought 500 small plastic bags on Amazon. In addition to Lego, they have a ton of items in our First Aid Kits. Sharpies are great to label with, but it does sometimes wear off if it gets damp. For medicine, especially herbal remedies others may not know, I write instructions on the bags as well. Now, put them all together in a bag. 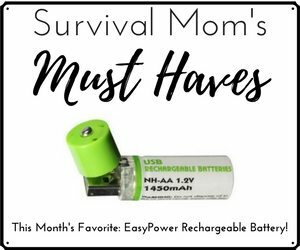 Personally, I currently favor something similar to a lunch box because, unlike a bright red First Aid kit, no one will ever even notice it, and my son loves eating school lunches. If your child is a regular lunch packer, you could simply use either an old lunch box or one they don’t like to help keep them from grabbing it by accident. Another option is a pencil box. If you prefer, you can use one of little red First Aid bags you can pick up in any pharmacy section. Voila! A first aid kit for your child, or for your travels. Happy trails! I add a pkg of wet wipes, too. No offense, but I consider this to be WAY overkill. This for a 7 year old? Really? I get the whole preparedness thing but an elementary school student is going to use cayenne pepper to stop a heart attack? Salt for heat stroke? Signal mirrors? They are going to school for heavens sake. Kids that age are old enough to take First Aid classes and old enough to learn basic home remedies. If schools won’t allow kids to carry a cough drop and having a small package of honey takes care of the problem, that’s a very easy thing to do. 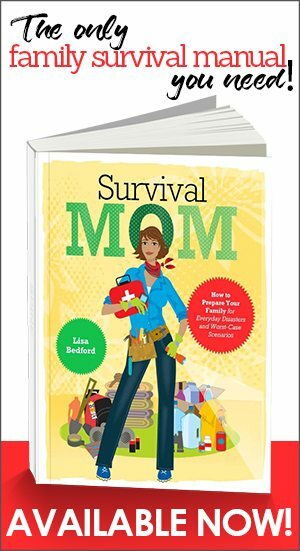 The idea is to put simple, natural things in your kid’s backpack, things that are allowed at public schools, in case of an emergency. As a former school teacher, I can tell you that in a crisis, there’s no way I’d be able to look after the needs of 25-30 panicked kids. Well, I do appreciate that, however, are those panicked kids going to be able to take advantage of these things in the kit? I would think that many of these things would need adult supervision. And there are first aid classes for kids? I think that is fantastic but where would one find one of these classes? I would think that the space for the kit would be better utilized with a food/water kit. I was impressed by my son’s new school that wanted a “lockdown” bag for each child, with a gallon ziplock bag with water and granola bar type snacks, etc. I consider that more likely really. Marcy, for kids trapped in a room unable to escape, how much do you think the mirror to signal those outside would help? In a disaster, debris can easily block the exits. It doesn’t take much “training” for a kid to understand light will reflect off a mirror and get attention if you are in danger. Are they likely to use the cayenne pepper for a heart attack? In a normal situation, no. But if there is an earthquake / tornado / insert local disaster here, first responders might not be able to get in and the stress from it could easily induce a heart attack for an older teacher, especially. As I mentioned, write the instructions on the baggies, but dumping it into a glass or bottle of water is easy enough for a really little kid to do. It takes VERY little space and adds little weight. In addition, you can use the cayenne to stop bleeding on wounds. Again, not necessary in day to day life, but this is for emergencies. In a normal classroom situation, the nurse can bandage owies and they can go to the hospital if they need more in-depth care. I am simply teaching my son First Aid on my own. A lot of it really isn’t that hard. 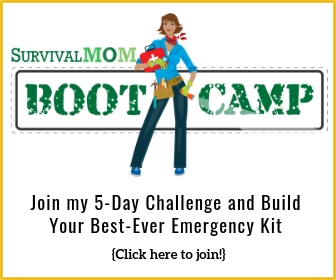 A food / water kit is a separate issue, and one you don’t need to get creative for. I completely agree that kids should have those as well. Good for your son’s school for requiring that! Marcy-I love the fact that your school requested the “lockdown bag”. I have one in my boys bag because you just never know. I’ve done it for a couple of years now. I think it would be smart for all schools to do this because you don’t want everyone attacking the one little prepper in the class for their granola bar! 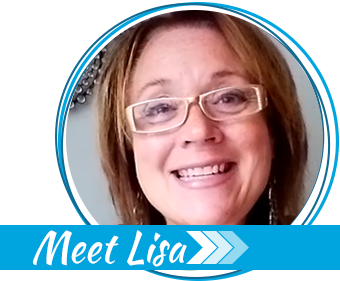 🙂 I love this site, thanks for this article Liz. Most kids wouldn’t know how to use half that stuff. But it would be there and available for use, by a trained person, be they an older child or adult. Better to have it and not need it, then …..
As to how to pack essential oils, make salves and but them in small tins. Whole foods or Mountain Rose have both tins and glass roll on bottles. Backdoor Survival has some great DIY salves.